Putting aside her second brother and the mysterious girl, Sera Masumi also has her fair share of some unresolved mysteries. When she was introduced, she was intended to seem suspicious, but many fans caught on quite quickly that she’s supposed to be Akai Shūichi’s younger sister. However even with all of her mysteries, she hasn’t been incorporated yet into the main plot with the Black Organization. She’s appeared a lot in the manga since her introduction, so we’re not going to summarize each one of her appearances, just what’s relevant to her still unresolved issues. 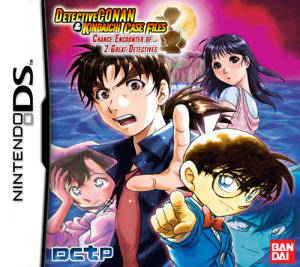 Ever since her first appearance, Masumi was shown to possess a lot of knowledge about Conan, Ran and other people in their lives. Not only does it seem like she’s made quite a bit of research about them, she also seems to know Conan’s true identity. In her earlier appearances, she displays an interest in Haibara too. She has a history with both Shinichi and Ran. The two of them seem to remember meeting her before, but in file 846 when Conan asks Masumi if they had already met in the past, Masumi doesn’t give him an answer. When Ran sees Masumi running, she thinks of the sounds of waves. In file 905 Ran has a glimpse of a memory about Masumi as a child. In file 801, Masumi spots someone who resembles her brother in the middle of the street (Bourbon disguised as Shūichi with a scar). During Mystery Train, this persona shows himself to her again (this time it’s Vermouth), and she’s struck in disbelief because she heard he was dead. Bourbon and Vermouth targeted her in order to confirm Shūichi was truly dead. In her next appearance, she asks Ran if she saw the person with the burn mark and also inquires about her hat. She claims the hat’s shape of wear reminds her of her brother’s, but concludes at the end that there’s no way it’s possible (the real Shūichi wore her hat on the train while he ambushed Bourbon). In file 937 we find out that four years ago, she spotted Shūichi in the train station (that’s around the time Shūichi was infiltrating the Organization). At the same encounter, she also met Scotch and caught a glimpse of Bourbon. This is the case in which Conan finally confirms Masumi is Shūichi’s sister. So now let us tackle each one of her mysteries. What’s the history between Masumi, Shinichi and Ran? 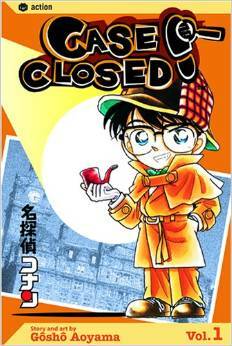 It’s generally believed Shinichi and Ran met Masumi in the past when they were children, and young Shinichi solved a case. The case is likely to have taken place near the sea. While Masumi seems to remember this encounter pretty well, Shinichi and Ran only have a blurry memory of this meeting. This is likely also the place where Ran met Masumi’s mother, and that’s why Mystery Girl seems somewhat familiar to her. Mid bro may have also appeared in this past encounter. The wizard is believed to be Shinichi. Magic-like tricks have been a recurring motif in numerous cases with Masumi. It’s possible that after kid Shinichi solved the case in their past encounter, kid Masumi was impressed and thought he was some sort of a wizard. Masumi has been a vague character who evades questions in a recurring manner, thus it’s not certain exactly what she truly knows. It’s evident she knows Conan is Shinichi, and she may also know that Haibara is shrunken too. She claims to believe her eldest brother truly is dead, but it’s not all consistent with the fact she clearly encountered a person who looked just like him on the train, yet this encounter hasn’t seemed to bother her since. Lastly, Gosho revealed via a Q&A that Masumi doesn’t know about the Black Organization. What are Masumi’s intentions and goal? Currently unknown. She seems interested in letting Conan know about Mystery Girl and may want his help in some way, but she also doesn’t seem to be in a rush to advance anything either. Maybe…? Seems a bit too late for a love triangle at this point, but it’s Gosho so anything’s possible.